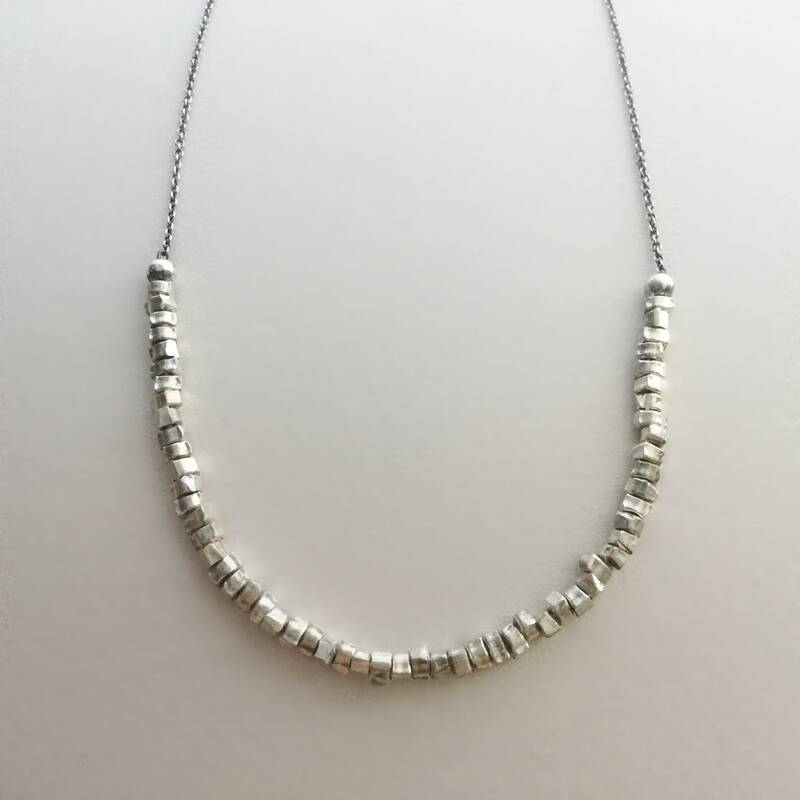 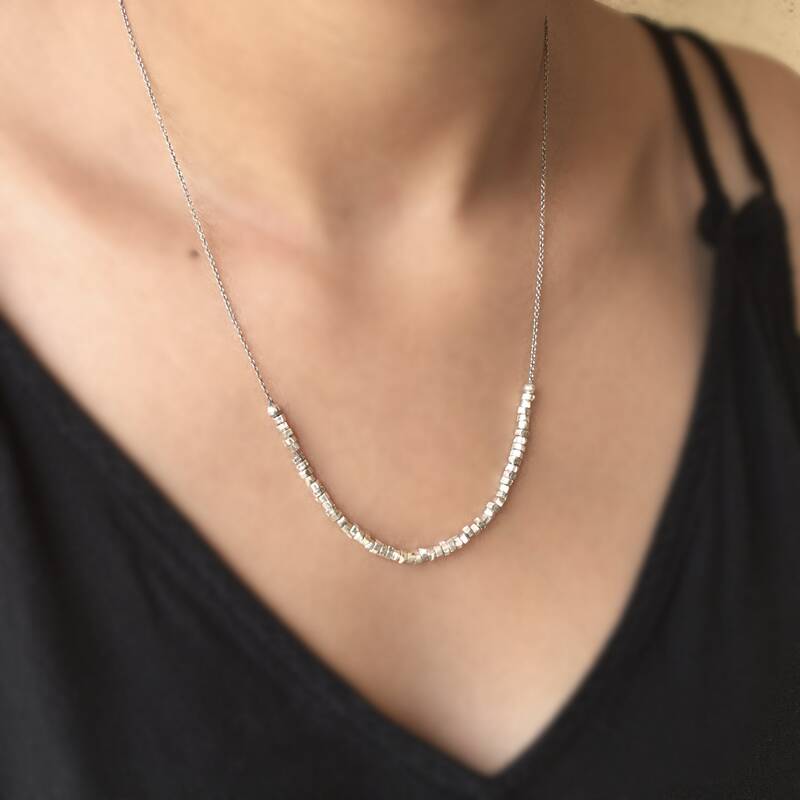 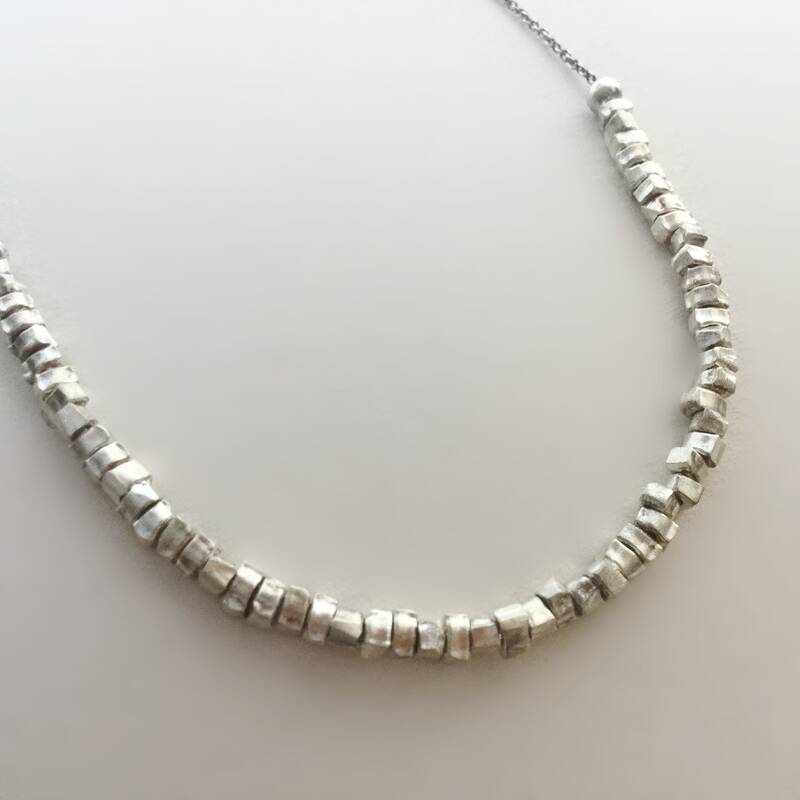 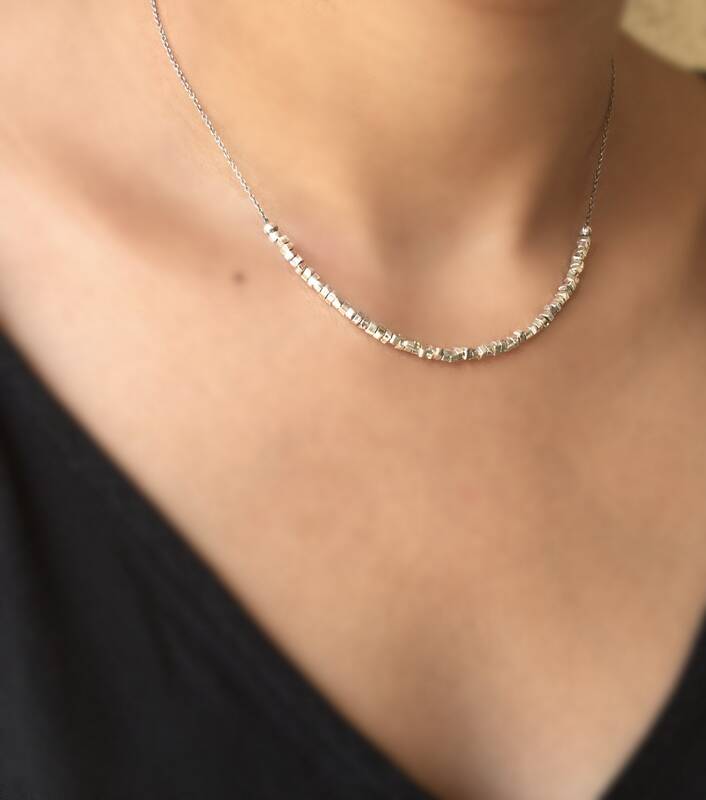 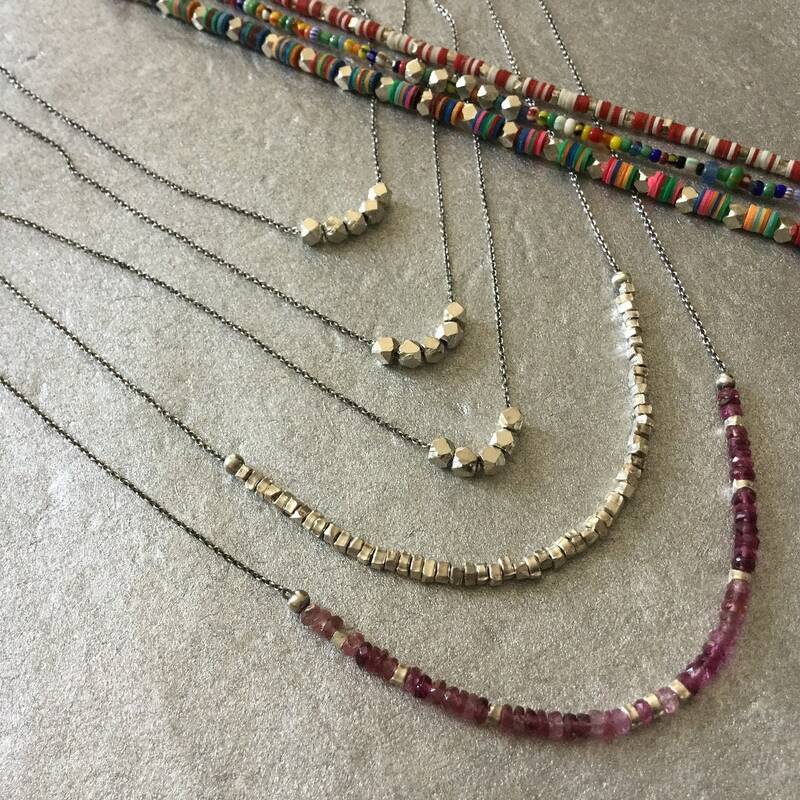 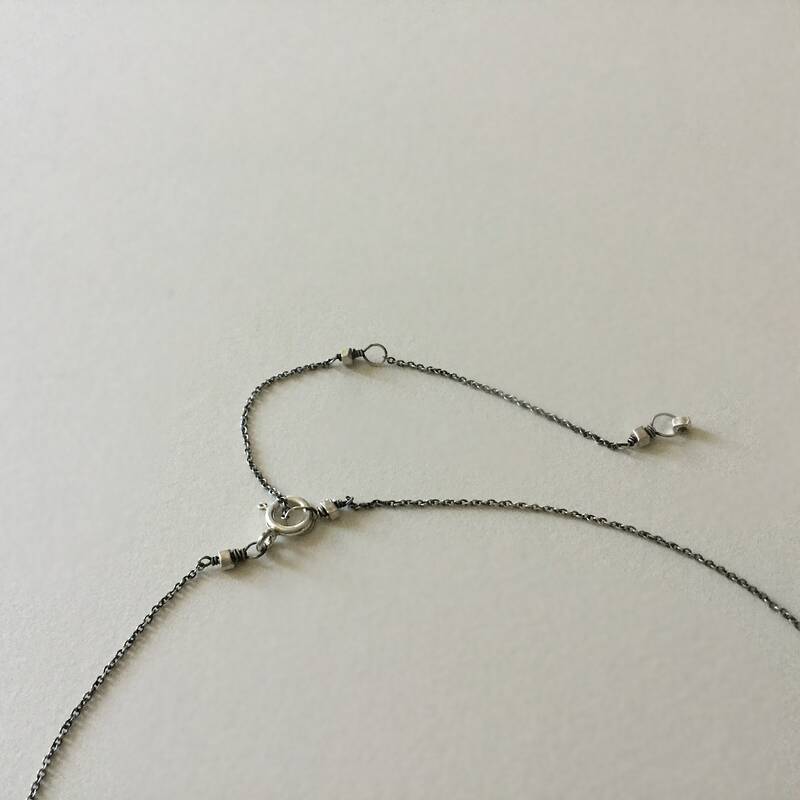 Beautiful, delicate necklace with sparkeling Hill Tribe silver beads on skinny Sterling silver chain. 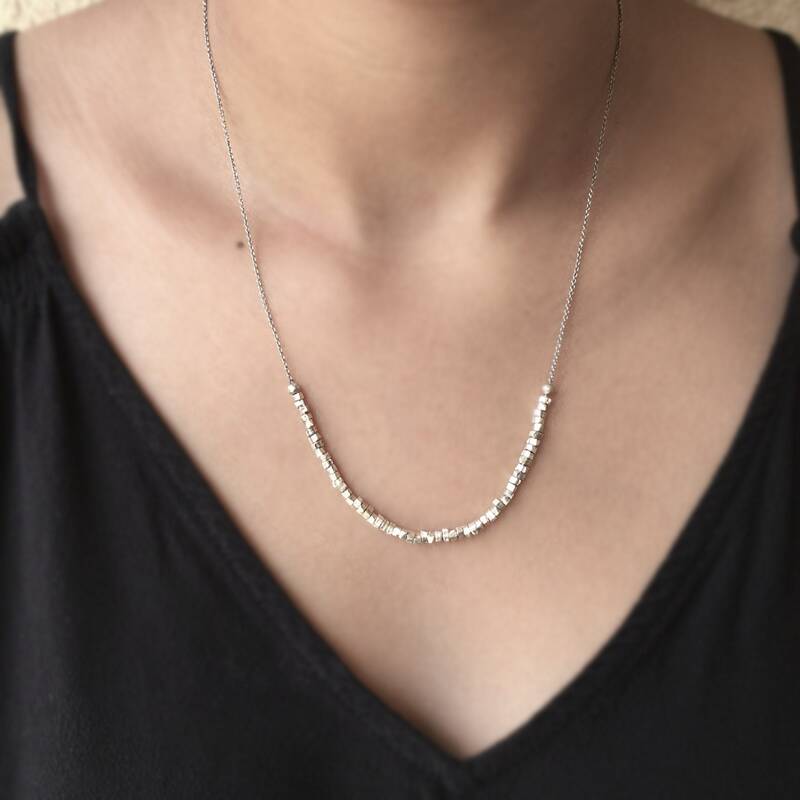 This piece can be worn in 3 different length. 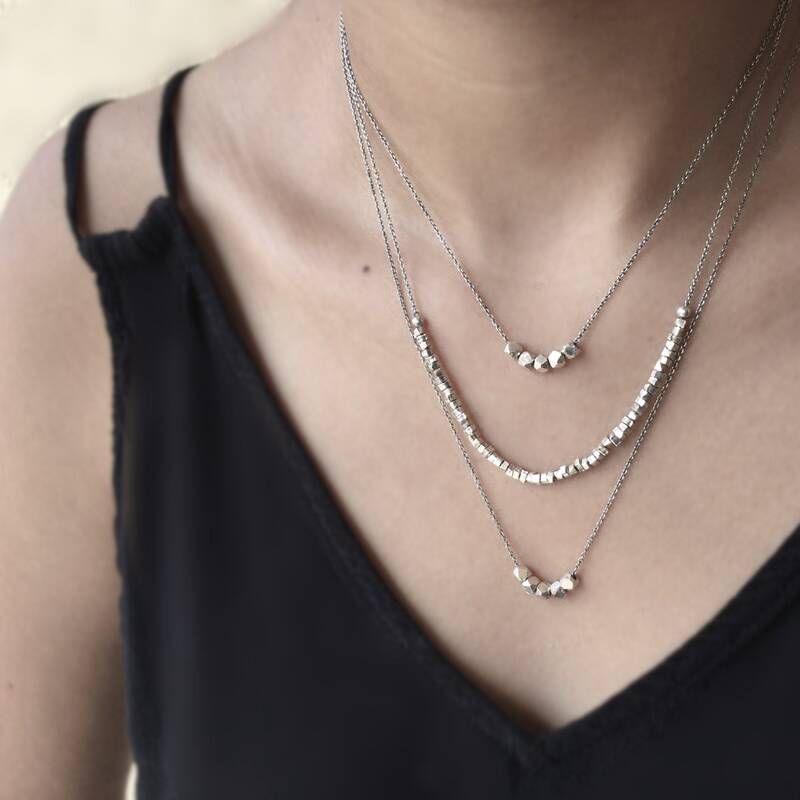 16, 18 and 20 inches Great for layering.